Being heard means more than turning up the volume. It means telling your audience what you need to say in the way that they need to hear it. — at major keynotes and conferences, industry forums, sales and user group meetings, trade shows and analyst presentations. I’ve done it for Adobe, Acuson, Agilent, Amdahl, American Dental Association, Amerisource-Bergen, Coldwell Banker, DelMonte, Fleetwood, Gap, Genentech, Gilead Sciences, Hewlett-Packard, Honda Motorcycles, IBM, Inglenook, Intel, Levi-Strauss, Lucent, SAP, Seagate, SGI, Suzuki Motorcycles, United Vintners, Wilson Sporting Goods, and many others. Helping these organizations communicate better both internally and externally — with the financial community, customers, partners, and the public at large — has also provided me with the background to write two books that address two key areas of concern to today’s executives:service and leadership. One Size Fits One (with Gary Heil and Deborah Stephens) tells organizations how to re-invent their processes and recalibrate their thinking to meet the ever-demanding and often quite specific needs of individual customers and valued employees. 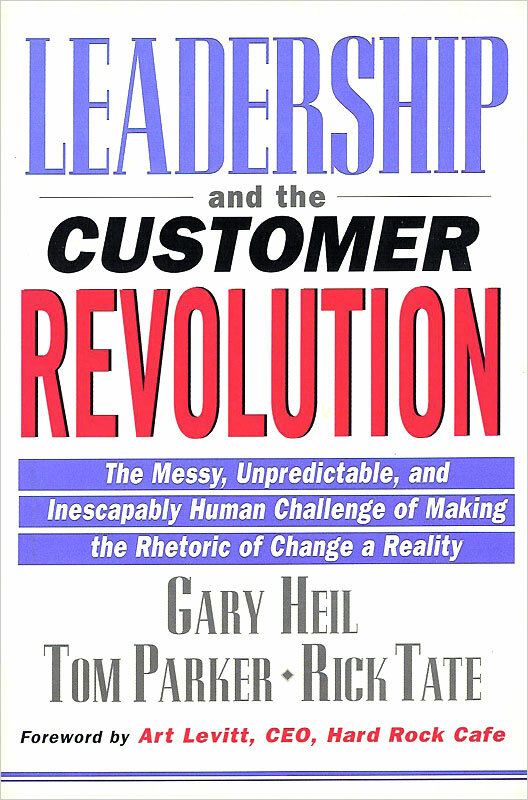 Leadership and the Customer Revolution (with Gary Heil and Rick Tate) has helped many of today’s leaders see their organizations as they really are — not how they wish they were — and identify areas where significant, needed change can take root. –Gary Heil, co-author of Leadership and the Customer Revolution: The Messy, Unpredictable, and Inescapably Human Challenge of Making the Rhetoric of Change a Reality and One Size Fits One: Building Relationships One Customer and One Employee at a Time. “Tom Parker is a pleasure to work with. He is a quick study, has a great sense of humor, related exceptionally with our top executives, understood our audiences and our culture, and met our every demand and deadline. Our first real speechwriter, he really raised the bar for us.”–Sandra MacKay Miley, Former Director Marketing Communications, Adobe Systems, Inc.
“Tom has been immensely helpful to me. He identifies problems with manuscripts in a constructive fashion and makes you feel good about fixing them. He also inspires you when you get it right.” –Bill Davidow, Author of Marketing High Technology, The Virtual Corporation, and Total Customer Service, former Intel Senior VP, Principal, Mohr Davidrow Ventures. “When it comes to working with and writing for senior executives, Tom Parker ranks among the very best. He’s a highly personable, business savvy, strategic thinker.”—David Samec, Principal, DSA Creative Productions.